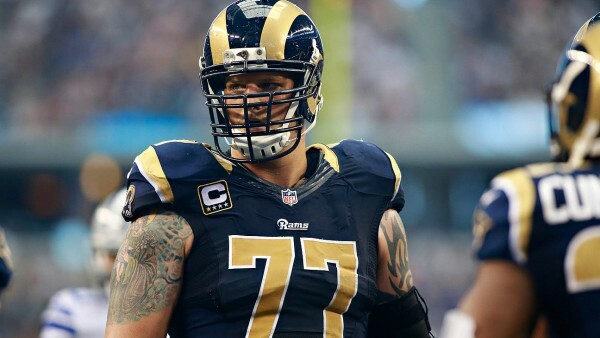 After being released by the St. Louis Rams, Jake Long is doing a tour of visits, hoping to land a deal with one of the following three: The New York Giants, Denver Broncos or Atlanta Falcons. Long has already visited with both the Falcons and Giants, and plans on visiting the Broncos next. His intended role for all teams is that of a backup and providing some positive veteran influence. The Giants will be without tackle Will Beatty for the first few weeks of the regular season; the Broncos lost Ryan Clady for the season while the Falcons have injuries to Sam Baker and Jake Matthews to deal with. Long was the number one overall pick in the 2008 draft. The left tackle out of Michigan did extremely well for the Miami Dolphins through the first four seasons in the league, living up to his salary and his draft pick, making four Pro Bowl games and a number of various All-Pro selections, including AP’s first team All-Pro in 2010. But during his final season in Miami he started picking up injuries. First it was his back, and then a bicep tear. If he was healthy, the Dolphins would not have let him go, but he signed in 2012 with the Rams on a four year deal. He had back-to-back seasons with ACL tears, including last season, both on the same knee (his right). The Rams cut him in order to avoid the $10 million cap hit. Now Long is trying to keep his NFL career alive.